Perfection With All Of Your Falls. We Suit Like The Moon And A Dream. 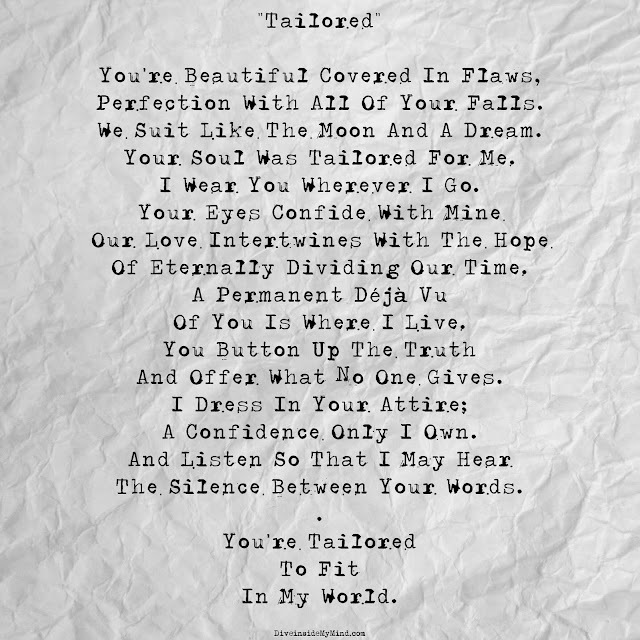 Your Soul Was Tailored For Me. I Wear You Wherever I Go. Of Eternally Dividing Our Time. Of You Is Where I Live. And Offer What No One Gives. A Confidence Only I Own. The Silence Between Your Words.